Growing up with two brothers in Lima, Peru, Coach G has been kicking a ball since as long as he can remember. He graduated from the University of St. Thomas in Houston, TX, where he played in the central midfield for the collegiate soccer team and earned his degree in finance and economics. He is a native Spanish speaker, and counts healthy cooking, as well as eating, among his hobbies. Coach G is grateful for the positive experiences the beautiful game has given him and wants to pass this on to the youth of the great city of Seattle. Born and raised in Houston Texas, Victor went on to play at the University Of St. Thomas where he helped the program win its first conference title. While attending university, he earned a BBA in finance. Son of Fortunato and Esperanza Falcon, immigrants of Hidalgo Mexico, Victor grew up with four siblings and two dogs named Pele and Chelsea. Victor was introduced to the game of soccer at an early age. He pursued Division I club soccer in Houston throughout his youth. Victor is excited for the opportunity to positively impact the lives of young soccer players, just as coaches once impacted his. ShyAnne is originally from Omaha, Nebraska graduating from the University of Nebraska at Omaha with a degree in Business Administration and a concentration in Marketing. ShyAnne helped with Creighton University’s Men’s Soccer and Basketball program and the University of Nebraska at Omaha’s Men’s Hockey and Basketball Program. After graduating in the May of 2018, she accepted a traveling internship with the American Junior Golf Association leading her to move to the Pacific Northwest October 2018. In her free time she finds herself attending many of UW’s football games, meeting new people and walking her dog, Clyde. 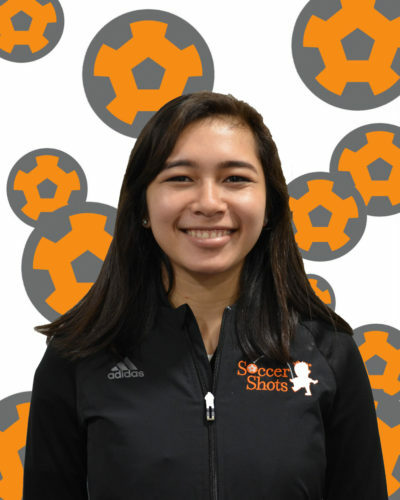 She loves working with Soccer Shots because she is passionate about furthering youth athletics in this great community. Coach Ashlynne was born and raised in Cincinnati, Ohio where she began playing soccer at age 2 and began competitive soccer on a traveling team at age 7. She continued competitive soccer until her sophomore year of high school, and she played on her high school varsity team for four years, becoming a team captain during her senior year. Ashlynne also played for Wilmington College, a small division three college in Ohio, for one year before transferring to Seattle Pacific University. A lower back injury from high school recurred causing her to end her competitive soccer career. She recently graduated from Seattle Pacific University with a B.S. in Exercise Science and a minor in Health and Fitness Education. Ashlynne currently plans to attend graduate school to pursue a career in teaching elementary school. She has experience working with kids as a babysitter, a nanny, and a soccer camp counselor. Ashlynne enjoys being part of the Soccer Shots team because it combines her passion for soccer and kids. Coach Jacob was born in Cincinnati, Ohio, but grew up in Redmond, Washington where he moved when he was 7 years old. He has played for Crossfire, Redmond High School, and Washington State University’s club team where he spent some time as a player-coach. At WSU he earned a Bachelor’s degree in Journalism & Media Production and discovered that he has a passion for visual storytelling. Jacob is also passionate about teaching and plans to get a teaching degree one day. 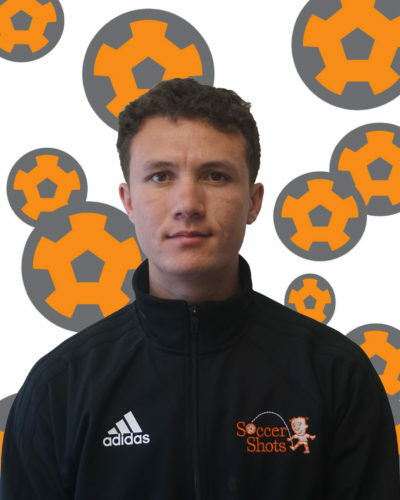 At Soccer Shots, he is excited to combine his passion for storytelling and his experience with coaching and childcare to connect soccer to the community and bring people together. He is a huge fan of Liverpool FC and dreams of meeting Ed Sheeran one day. Shaman was born and raised in Davidsonville, MD, where she grew up with 6 brothers and sisters and was home-schooled from kindergarten through senior year of high school. She played basketball on rec leagues for 6 years, and also played soccer non-competitively all through childhood. Shaman studied the art of Taekwondo from age four, and continued for over ten years, eventually earning a second-degree black belt. She recently graduated from the Institute for Integrative Nutrition in 2017, and has continued to pursue a career as a Certified Health Coach. Shaman currently enjoys being an advocate for holistic wellness and living a healthy lifestyle. Her other interests include marketing and brand expansion, website designing, gardening, and cooking. When she’s not studying or working, she loves to experiment with recipes, make crystal jewelry, travel, read, get outdoors, and spend time with family. She has 2 years of experience working with visual merchandising and product demonstration, and 15 years of experience working with children of all ages in multiple settings such as elementary school programs, chess clubs, and soccer coaching. She has also worked as a babysitter and private nanny. Shaman enjoys working with Soccer Shots because she is passionate about giving children a positive outlet for learning and exercise. She loves being part of a team that inspires and uplifts those around them!